If you have an application that works well for self service or customer facing use, KioWare can turn your application into a self service kiosk. If you are a hardware or external device manufacturer, KioWare provides a great solution for securing the Windows or Android operating system and integrating your hardware & application effectively. IT Consultants or Kiosk Project Consultants may also find KioWare's Partner Program to be an effective and easy way to manage multiple client licenses and accounts. 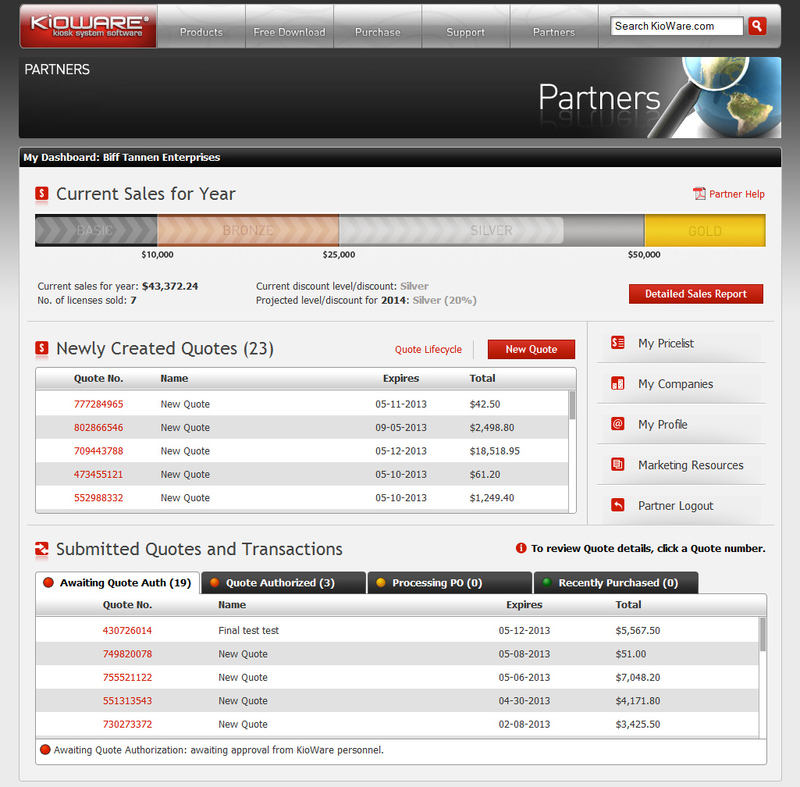 As a KioWare Partner you can look forward to tiered partner pricing as well as enhanced control of your client accounts. For a walk through of the KioWare Partner Dashboard or to apply to become a KioWare Partner, contact us. KioWare offers a new Partner Discount Rewards program where Partners can earn preferred pricing at various levels based on the previous year’s sales. This system is designed to reward KioWare’s strongest Partners and provide additional incentive for those that are considering recommending KioWare in the future. 1) Bigger Discounts - Tiered Partner Pricing: The more you sell this year, the greater your discount next year. With discounts up to 25%, this plan rewards you for sales volume. Sign our updated Partner Agreement to start saving. 2) More Control - Manage Client Accounts: The KioWare Partner Dashboard allows you to manage client accounts from one simple log in. Create quotes, submit payments, renew support, manage accounts & download marketing materials all through the Partner Dashboard. 3) Promote Your Company - Partner Listing: Your logo and description will appear on KioWare’s Partner Page with a link to your website. 4) Promote Your Project - Project Spotlight: Tell us about a kiosk project using KioWare and we’ll feature you in our monthly project spotlight. 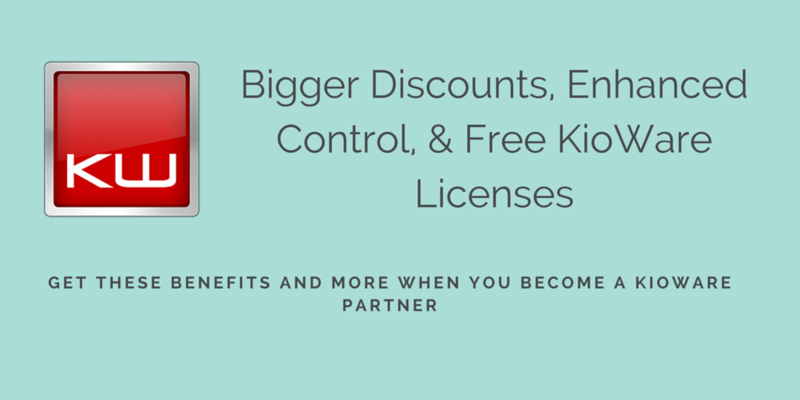 Learn more about the Partner Program benefits and requirements. Contact a KioWare Team Member to learn more about becoming a KioWare Partner. Apply for the KioWare Partner Program online or call 717.843.4790. Toll free inside the US 877.843.4790.